Deputy Defense Secretary says the United States military stepping up its efforts in the cyber war against ISIS. The United States military is dropping "cyber bombs" on the Islamic State (ISIS) jihadist group for the first time as part of a stepped-up coordinated effort that has put increasing pressure on the militant group, Deputy Defense Secretary Robert Work said on Tuesday, according to Reuters. "Those guys are under enormous pressure. Every time we have gone after one of their defended positions over the last six months, we have defeated them. They have left, they have retreated," Work was quoted as having told reporters on a military plane en route to a Colorado air base. He added that American and coalition forces were putting pressure on Islamic State from all directions, using every possible military capability, including cyber attacks, to defeat the group. Last month, Defense Secretary Ashton Carter and the U.S. military's top officer, General Joe Dunford, said that the Pentagon is expanding its cyberattacks against ISIS’s computer networks. The American-led coalition is working to disrupt ISIS's command chain "to cause them to lose confidence in their networks," Carter said at the time, though he did not offer technical specifics. 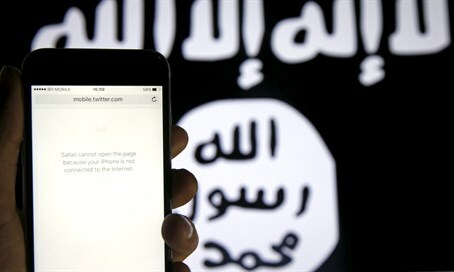 ISIS is known to be actively recruiting jihadists online using social media and, in July, U.S. Attorney General Loretta Lynch warned that the jihadist group poses a direct threat to America, with the greatest danger being the possibility that the terror group develop cyber warfare capabilities.